SQLScout 4.1.0 Released | IDEScout, Inc.
Support for Android Studio 3.1.0. SQLScout 4.1.0 is compatible with Android Studio 3.1.0. Due to changes in Android Studio itself, this version of SQLScout is not compatible with older versions of Android Studio. Added support for nullability when generating Entity classes from a database schema. Generated code is automatically formatted. Added support for compound queries using the UNION, UNION ALL, INTERSECT or EXCEPT operators. Support includes parsing, syntax highlighting and code completion. 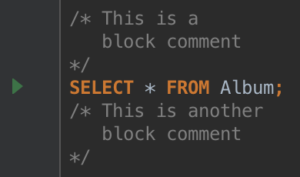 Fixed parsing and syntax highlighting of block comments. 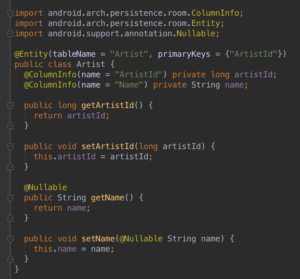 Added support for connecting to databases by opening database files (with extensions “.db” and “.sqlite”) from the file system or Android Studio’s Device Explorer view.